The truth is becoming difficult to ignore: there are pollutants, allergens, bacteria, and toxins wherever we go. And there's nothing we can do about it. Most of us seek refuge inside our homes, assuming we're safe from harmful toxins and pollution. But according to the EPA (Environmental Protection Agency), indoors is where we're exposed to the worst of the pollution. Even more alarming is that Americans spend 90% of their time indoors, states the EPA. So it's no surprise that Himalayan salt lamps are popping up everywhere, and more people are investing in them for their homes, offices, and other indoor locations they frequent. Beyond the soft, alluring glow provided by the best Himalayan salt lamp, they come with a slew of other benefits to elevate your home and protect you from various pollutants - among other things. Today we're sharing how the best Himalayan salt lamps can elevate and benefit your home. Environmental dangers are lurking everywhere. The EPA says that sub-par air quality is in the top five of the biggest environmental health risks. And this comes with huge risks. Lousy air quality has even been linked to various health issues. But luckily one of the outstanding benefits of these Himalayan salt lamps is their ability to purify your air indoors. What Can Be Purified in Your Home? How Do Himalayan Salt Lamps Purify Air? Water vapor is constantly circling around indoors. This water vapor is filled with the nasty allergens and pollutants mentioned above. Because Himalayan salt (or any salt for that matter) attracts water, it pulls the allergens and other toxins from the air. The salt lamps release negative ions into the air once the lamp is heated, which is when they attract the water molecules full of allergens. If you're looking for cleaner air inside your home, the best Himalayan salt lamp you can find should do the trick. Just looking at one of the many different Himalayan salt lamps on the market is enough to relax you, but there's more to it than that. From the delightful hand-carved lamps to the traditional looking ones, they all give off an orange glow for a reason. It's come into public view that the blue lights of cell phones and other technology are dangerous to look at for long periods of time. So much so, that they even have an option to turn down your ''blue light'' on certain Smartphones. In a recent study, scientists found that LEDs used in computers, cell phones, tablets, televisions, and other devices emit a blue light that can cause issues with your circadian system and your eyes. In other words, your sleep issues may be stemming from your circadian rhythm being tampered by these LED lights. Another study on rats found that this blue LED light caused severe retinal damage. It's safe to say that blue LED lights are not good for us - but what does this have to do with the benefits provided by the best Himalayan salt lamp? The orange hue given off when the salt lamps are plugged in has the opposite effect on our bodies. It soothes our bodies and minds and relaxes us, which leads us to our next point. Another magnificent benefit of using Himalayan salt lamps in your home is its outstanding benefits in helping with anxiety and depression. As we touched on earlier, these salt lamps emit negative ions, which come with a whole slew of health benefits - including helping with depression and anxiety. When you're exposed to these negative ions it can lessen depression, increase mood, enhance energy, and relieve stress says WebMD. Have you ever had a hot shower, taken a swim in the ocean, or visited a waterfall and felt a great sense of well-being? It wasn't because you woke up on the right side of the bed that day. Negative ions are released during these experiences, which is why you feel that sense of increased energy or change in mood. These ions alter our serotonin levels, which explains why these salt lamps help so much with health issues like anxiety and depression. Many of us avoid going outdoors when allergy season hits with a vengeance, but what if you're actually just exposing yourself to even more allergens? We've already discussed how there are more allergens inside a home or building than they are outside, so it would stand to reason that your allergy symptoms would worsen indoors. Of course, this all depends on the type of allergies you possess. 50 million Americans are allergic to household allergens such as dust mites and pet dander. So if you find yourself in that heap of people, you could benefit from a Himalayan salt lamp in your home. Because the negative ions are released into the air, it does, in fact, assist in drawing in allergens, pollen, pet dander and other toxins - which helps lessen allergy symptoms. While it won't cure your allergies, it's an excellent way to get some relief! It will also assist with sinus issues, along with asthma. If you haven't gotten your hands on one of these glorious salt lamps yet, what are you waiting for? The array of benefits is endless, and there's a reason they're taking the world by storm. 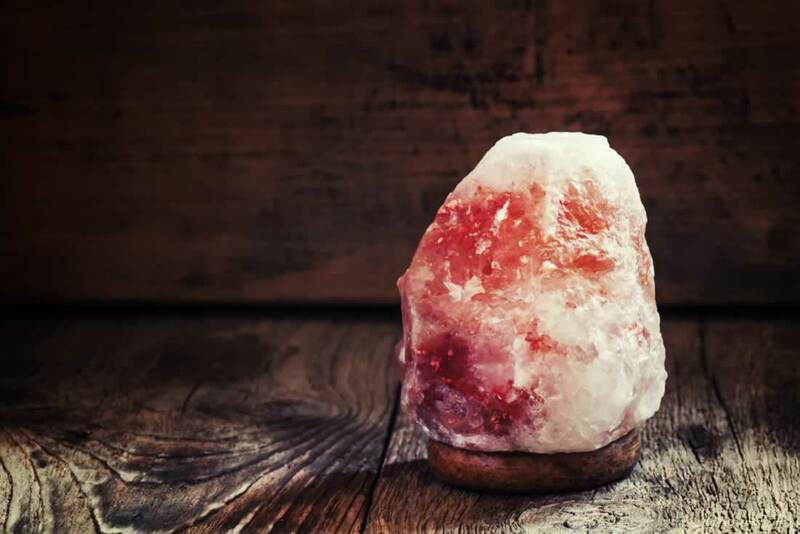 Although the most common reason people purchase Himalayan salt lamps is to relieve allergies or purify the air, they're wonderful for helping you relax or aiding in anxiety or depression (including seasonal depression). If you have any questions about our products, don't hesitate to reach out and contact us. Where Should You Buy a Himalayan Salt Lamp?